Pop… pop…slam! Even though the strike is anticipated – your heart stops for a second, when the surface explodes in a chaos of teeth, jaws… and water splashing everywhere. 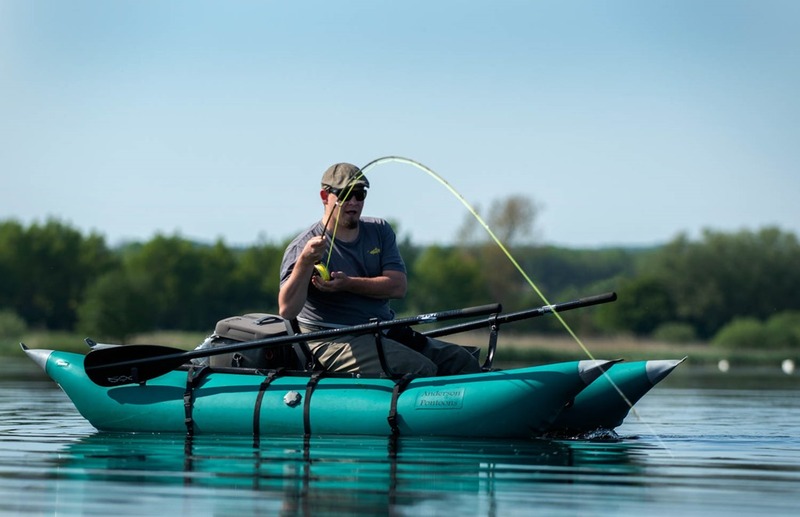 Fishing poppers, sliders, divers and other surface flies is one of the most adrenaline pumping activity you can experience with a fly rod in your hand. But let’s take a look at the flies. The name suggests that it has something to do with noise- and that isn’t all wrong. 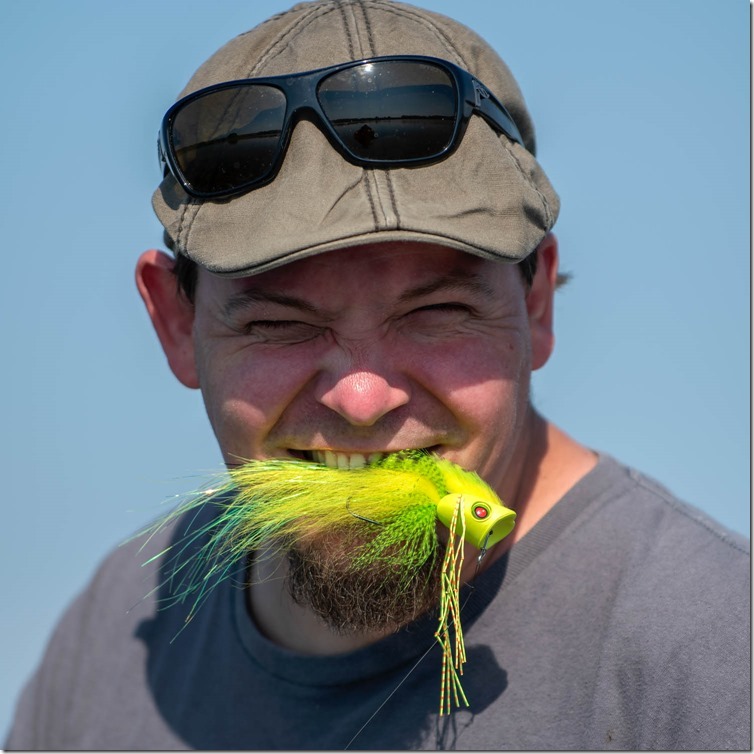 A popper is a fly with a floating head/body that makes noise and disturbance when retrieved. Some poppers are meant to resemble a frog or a newt splashing in the surface. Others are made to fool predators into believing that a mouse or a duckling is on its last swim. 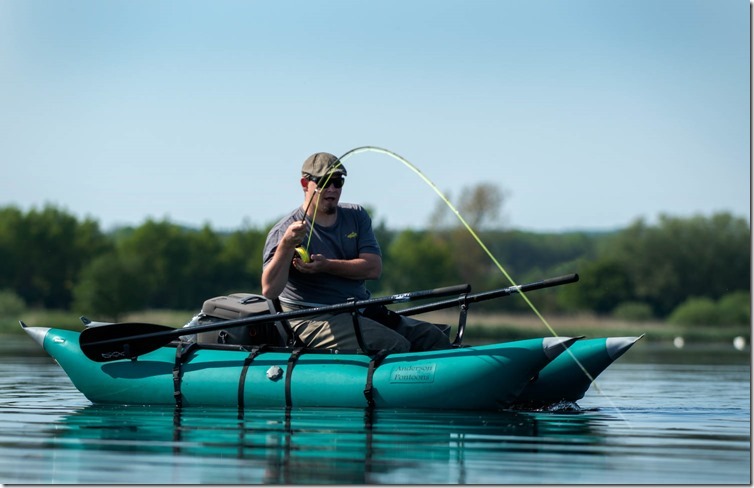 Initially these surface bugs were designed by American anglers – and mostly made for bass fishing. But pike and musky didn’t really ask for permission to hammer these juicy looking morsels – and the rest is history. What all poppers have in common is that they float more or less high on the water. Some poppers have built-in movement, which is activated during a steady retrieve, but most types need an activate fly-fisher at the other end of the line to do their thing. The design of the head is what make the difference in action. Poppers can be made pop, slide, dive, skip or wiggle and do other cool moves. Throughout the season poppers may not take the most pike, but they certainly provide some of the most exciting fishing experiences of the year. Earlier this week Morten joined some friends for a day of pike fishing. Naturally he brought his camera. 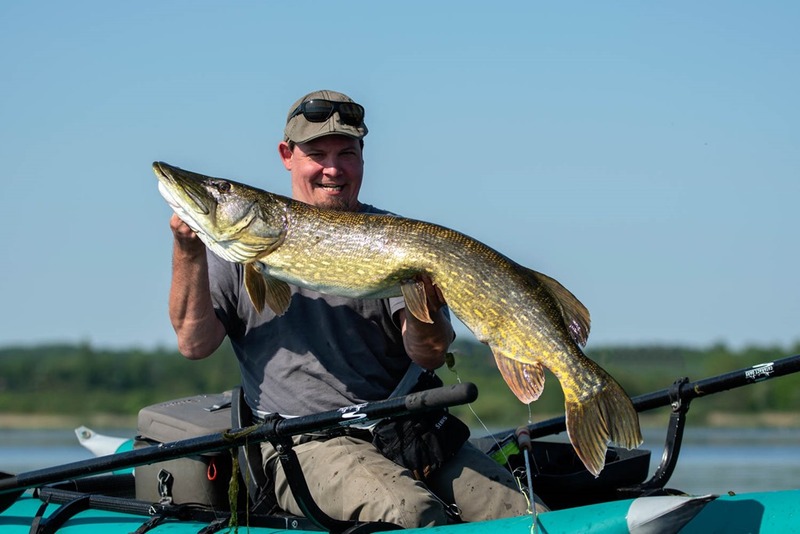 The day was sunny and warm – and the pike were active. And some nice pike were caught… and released. 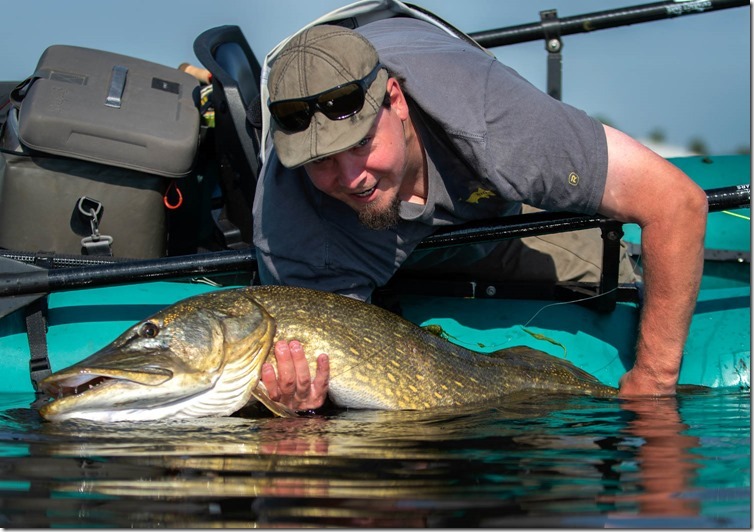 One of the anglers were pike fishing nerd and youtuber Daniel D. Holm, who after losing one really big fish hooked up with a monster on no less than 123 cm (that is on the good side of 48 inches). An impressive fish by any standard – so big congrats to Daniel. All the pictures on this blog are from that beautiful spring day – so they are fresh from the memory card :0). 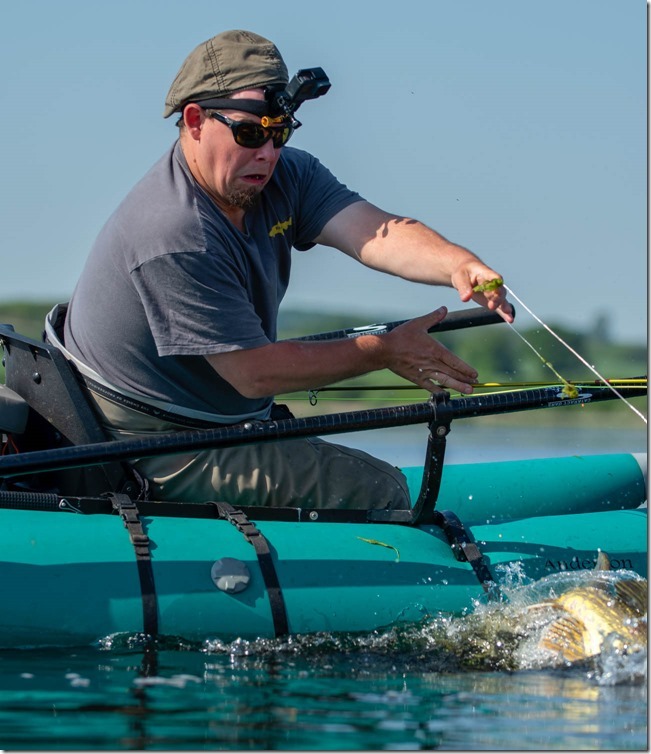 If the pictures inspire you to get out there and swing some big poppers, we have an added bonus for you – or actually two. 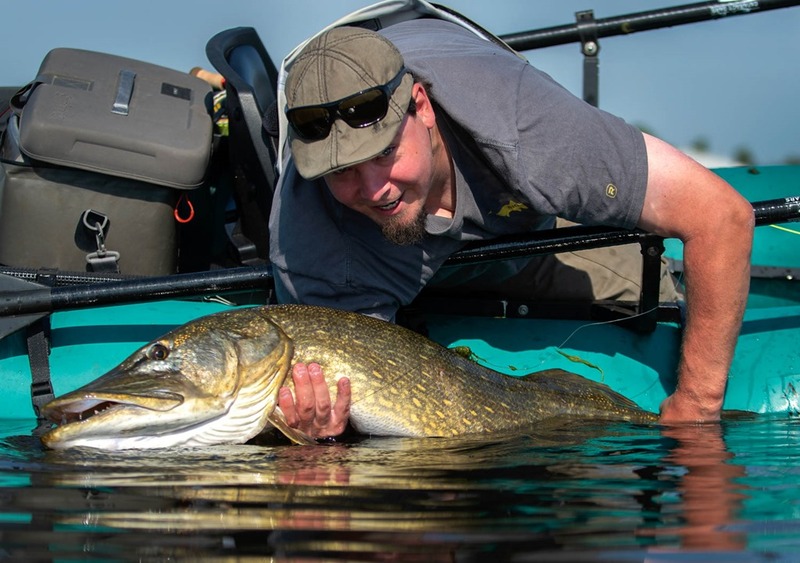 Daniel is a very productive fly tier, and as most of you probably know, he has loads of cool pike flies on his YouTube channels. The Pop Punker is a classic surface popper with a twist. It looks like a salamander or frog with an 80’s punk hairstyle – and pike seems to love that fashion statement. Check out Daniels full tying SBS right here…. And for those of you, that prefers deer hair over foam – and want to dig deeper into the technique of spinning hairbugs – Morten and Søren has made a video with Andreas. In this video Andreas ties the Y&O Dahlberg Diver. 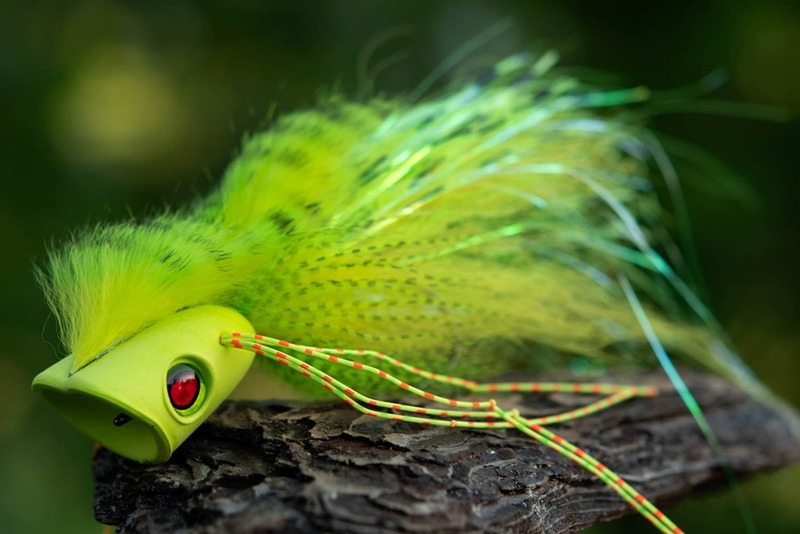 The diver style was first used by Larry Dahlberg decades ago – but Andreas has taken these flies to a new level of craftsmanship. His precision and sense for even the smallest details is incredible. But seeing is believing – and you see everything in this video.